Scholarship recipient is awarded FREE registration to our Diabetes Educator Course! To provide financial assistance with the Diabetes Educator Course registration fee. If you are passionate about diabetes education, actively involved in advocating for diabetes care and ready to attend our comprehensive Diabetes Educator Course, you are invited to apply for a complimentary course registration scholarship. Please download and complete the application below. See Below to Apply Today – for a scholarship to one of our Diabetes Educator Courses. See other recent scholarship recipients below. We are excited to offer the “Making a Difference” scholarship that covers the cost of course registration (valued at $579). This scholarship does not cover any other expenses incurred by the winner (including travel expenses, food, and lodging). Please consider travel and hotel accommodation costs prior to applying for the scholarship. Applicants must currently reside within the United States. If you are interested, please download and complete the scholarship application below. Cheryl Woolf is a recipient of our “Making a Different Scholarship” for so many reasons! We honor Cheryl for her outstanding contribution as a volunteer and her fierce advocacy efforts for people with diabetes in her community. Cheryl works with Cities Changing Diabetes, to help bring resources to those living with diabetes in the Houston area, including developing an online learning center for healthcare professionals and people with diabetes. She also volunteers weekly at a 7-acre urban farm to help combat the food desert in a community with high rates of diabetes and hypertension. Cheryl’s commitment to not only make resources available but to also advocate for empathy and compassion towards people with diabetes makes her an excellent recipient! Anna Wren is also one of our scholarship recipients for her dedication in providing care to anyone with diabetes. Located in rural Idaho, Anna is the sole instructor that provides multiple free events in three different counties through support, education, healthy cooking, medication options, and fun activities. She also provides free education to local schools to help children and teens. Anna is passionate about providing resources and keeping costs down for people with diabetes. Thank you for all you do! Our 2018 Scholarship winner, Kelby Kuhn PharmD, is from Salt Lake City, Utah.She is currently employed with the United States Air Force. We are happy to celebrate Kelby’s outstanding leadership, starting a JDRF (Juvenile Diabetes Research Foundation) chapter in Utah, her advocacy work on Capitol Hill, the volunteerism as Team Captain for JDRF Walk to Cure Diabetes, and for being a change agent to improve care as Director of Pharmacy in the United States Airforce. Kelby has been instrumental in raising thousands for dollars for diabetes research. Kelby is passionate about diabetes awareness and fueled by the people and the stories they tell. As the Director at the Diabetic Center of Excellence, she in determined to help empower patients with diabetes and improve long-term lifestyle outcomes. Congratulations Kelby! Sommer Kaskowitz is from Yorba Linda, California and works for Central City Community Health Center.She shares her passion for diabetes by working as a family nurse practitioner in the heart of Central Los Angeles. She recently developed a comprehensive diabetes program for 14 clinics throughout southern California. She believes diabetes should fit into her patient’s life rather than making their life fit into their diabetes. Enhancing diabetes prevention and care in her community prompted her to pursue her doctorate in nursing. As a CDE, she hopes to better address health disparities in order to provide improved comprehensive diabetes care across diverse populations and culture. She looks forward to offering care to those who are poor or underserved in her community. Helping others is truly what drives Sommer to be who she is today. Congratulations Sommer! 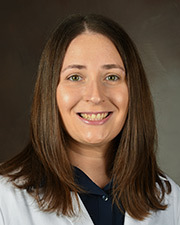 Kayla Fisher is from Jacksonville, Florida and works for UF Health Jacksonville Hospital. Kayla is part of the Employee Wellness team that provides healthcare, resources and education to more than 5,000 employees that serve the community. She also volunteers at 2nd Mile Ministries, an inner-city organization, to provide nutrition and diabetes education to youth and at-risk adults. Kayla also finds time to teach a monthly cooking class to African-American youth about basic nutrition and healthy cooking skills. By attending the Monterrey course, she will improve the efficiency and quality of the program that they offer to their employees. The course will also help her prepare for one of her professional goals to earn her CDE certification. Congratulations Kayla! 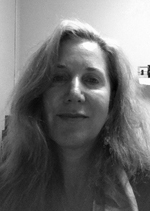 Sara Lasker is from Madison, Wisconsin and works for Meriter UnityPoint Health. She is an avid volunteer for Diabetes Camps for Children with Diabetes, ADA Camp Needlepoint, ADA Camp Carefree, ADA Camp Sealth in Washington and many more. Her volunteering brings her great joy because she can be a positive role model for young generations affected with diabetes as well as interact with others who are affected. Sara has had Type 1 diabetes and is lucky enough not to have any complications of diabetes. Part of her job responsibility includes being on the ADA Advisory team aimed at keeping up all the diabetes resources to maintain accreditation. She looks forward to attending the Monterey course so that she can solidify the knowledge she needs to pass the CDE exam as well as benefit her professional goal. Congratulations Sara! Candace Williams is a Registered Nurse/ACSM Certified Exercise Physiologist at Bates County Memorial Hospital in Butler, Missouri. She has created a 15 member DSME advisory committee. Candace spends some of her free time, researching her county and state statistics on diabetes prevalence. The hospital administration has given her permission to establish herself as a full-time position for DSME. Wherever Candace goes whether it be attending church or grocery shopping, she always finds a way to promote diabetes prevention. Because she approached the hospital administration, she is now able to reap the rewards of her initiative. Her goal of attending one of Beverly’s seminars will come true in September! Congratulations Candace! Tess Yakle is a Nurse Specialist, and RN at Great River Health Systems in Wapello, Iowa. Tess found herself falling into the diabetes field almost by chance. She was at a health fair when she overheard a diabetes nurse providing patient education. She was fascinated not only by her technique, but also how easily understood a complicated disease could be. She loves volunteering her time at community events. She likes to make learning fun and understandable to her audience. She ends her sessions with a “Let it Go” session. She asks them to stop letting their diabetes control their lives by letting the negative go, and focus on one positive that has come from the diagnosis. The key here is “blessing in disguise.” She also has a personal stake in the disease because her father recently was diagnosed with type 2 diabetes. Congratulations Tess! Heather Archer is a PharmD at Holston Medical Group in Kingsport, Tennessee and not only volunteers at a local Diabetes Association, but also works in a physician’s office. The physicians depend on Heather to answer questions regarding diabetes care for their patients. Heather is very excited about the opportunity of becoming a Certified Diabetes Educator®. Her co-worker has been encouraging her to become a Diabetes Educator so that she can become the resident expert. Because her family has a history of diabetes, Heather tries to maintain a healthy lifestyle and communicate to her patients how important it is to stay healthy. Heather is adamant about getting to know her patients on a personal level so that they trust her and she can educate her patients to be happy. Congratulations Heather! 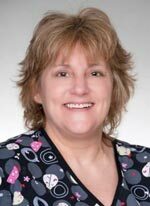 Betsy Swinny is a RN at Baptist Health Systems in San Antonio, Texas. She currently works in critical care and has managed the acute complications of diabetes. She also volunteers her time at a variety of community events sponsored by the Baptist Health System, Juvenile Diabetes Research Foundation and the Antonio Chapter of the American Association of Critical Care Nurses. 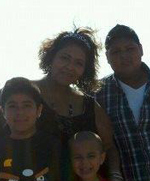 Two of her most important patients and her inspiration, are her husband and son who both have type 1 diabetes. Betsy is committed to helping patients with diabetes as well as pre-diabetic patients. Betsy is committed to improving the health and well-being of patients with type 1 and type 2 diabetes. Congratulations Betsy! Cristina Perez stands out for her volunteerism, tireless advocacy, and creativity in working with bilingual, homeless and illiterate clients and much more.Cristina works as a health educator in West Los Angeles Clinic. This free clinic serves people who speak no English, are homeless, illiterate and unable to afford medical care. She teaches classes in English and Spanish and since many participants have limited access to food, she also prepares and provides healthy snacks. 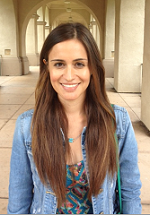 Cristina considers herself the “liaison between diabetes care and her patient population”. She adds, “We tailor diabetes education so that if can fit into anyone’s lifestyle”. Congratulations Cristina! 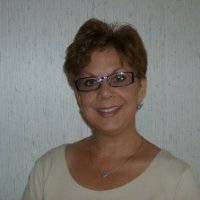 Maria Marquez is on the executive board of the Orange County National Association of Hispanic Nurses. She is involved in translating diabetes education teaching materials into Spanish and volunteers “Muevete” an organization which encourages movement and healthy lifestyles. Maria plans to teach classes on volunteer prevention for her community incorporating these healthy living principles. Maria will take her CDE® Exam within the next year and looks forward to sharing her knowledge and skills “with anyone that is ready to lend me their ears.” Congratulations Maria! Heather Tilton sees the “diabetes epidemic looming large as a health concern for future generations.” Heather provides diabetes education in a busy emergency room in an urban safety net hospital and also as part of the Adult and Family Medicine Clinic for Kaiser. Heather observes that one of the biggest barriers to patient education is the strong emotional response of a patient just trying to deal with a new diagnosis. She believes that through education, “we can improve the lives of those with diabetes and hopefully prevent the growth of the blooming epidemic.” Congratulations Heather! Denna Long has been a staff RN in a very large OB/GYN practice for the past 22 years. Her offices serve an ethnically diverse group of high risk women who have many barriers to over-come.As a case manager for these high risk mothers, Denna collaborates with many other health care professionals to provide optimal care and support.”This unique and challenging group of women, with their high risk pregnancies, have become my passion! 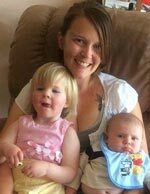 I can make a difference in the lives of these mothers and their babies.”Congratulations Deanna! 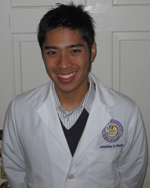 Jonathan-David Phung, PharmD, is wide reaching and forward thinking with his actions to improve care in his community. From writing grants to creating patient education videos and handouts to volunteering at health fairs and precepting students, Jonathan is tireless in his efforts to improve care for the Tulalip Tribe near Seattle, Washington. In spite of financial challenges and a workload that requires he works off duty, Jonathan-David continues to dream so he can continue to reach out to his community to provide meaningful resources that improve quality of life for his community.His ultimate professional goal is to “continue to practice diabetes in a clinic because I cherish the relationships I have forged with my patients and providers”. In addition, he hopes to teach in an academic setting to share his passion and knowledge with others. Congratulations Jonathan! Jeannene Davis’ volunteer activity and her vision really stood out as we read through the scholarship applications for Modesto, 2013. 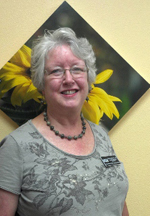 Jeannene is actively involved in providing diabetes outreach and education in her rural community of Waller, Texas. She volunteers over 12 hours a month helping people with diabetes. As Jeannene said in her application, “I provide DM education to at least 20 patients a day and then more on my off days and weekends. I meet them in homes, businesses, and local churches, restaurants, etc.”Jeannene has dreams of buying a mobile unit to reach out to under-served areas and hopes to establish a formal diabetes education program in her community and plans to take the CDE® in May, 2013. Congratulations Jeannene! Teresa Jones and Adrienne Starr: We had many amazing applicants for our Diabetes Ed Course in San Diego. As such, we decided to award 2 outstanding applicants for their dedication to improving care in under served communities.Both Adrienne and Teresa are actively involved in developing systems to sustain ongoing education in their respective communities. They are not only dreaming big, but are taking action such as developing diabetes programs with limited resources, providing grocery tours and reaching out to their communities in unique and innovative ways. Both Adrienne and Teresa plan to take the CDE® in the near future.Congratulations Teresa and Adrienne! Congratulations to our Making a Difference Scholarship Winner, Susan Schouboe. Susan is new to the field of diabetes education. She works in a rural hospital in Nebraska with limited access to specialists. In her new role providing diabetes education, her goal is to improve inpatient and outpatient care. She also volunteers in camps in health fairs. She plans to take the information from the course to improve the quality of care that is provided to her clients with diabetes.Congratulations Susan! In her official role as Clinical Diabetes Educator in Colorado, Susan Stauffer promotes diabetes prevention by providing monthly prediabetes classes to the community that offer hope and workable solutions. She is also involved in teaching nurses to provide quality care to diabetes patients, especially during hospitalization. 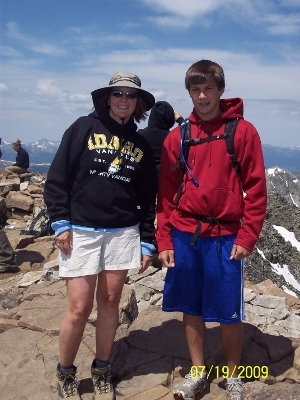 In the community, Susan helps manage blood sugars of those with diabetes during sporting events.Susan states that her 17 year old son, who has had type 1 diabetes since he was 9, is her greatest instructor. “He is my inspiration for this job. His heart to work, learn and grow into a healthy man really does inspire me. My son has taught me that blood sugars are not always responsive to 100% effort and that out of target numbers are because “the pancreas is the problem Mom, I have diabetes.” We are proud to announce Susan as our Scholarship recipient.